LEGENDARY Zimbabwean musician and human rights activist Oliver Mtukudzi died yesterday at the age of 66 . 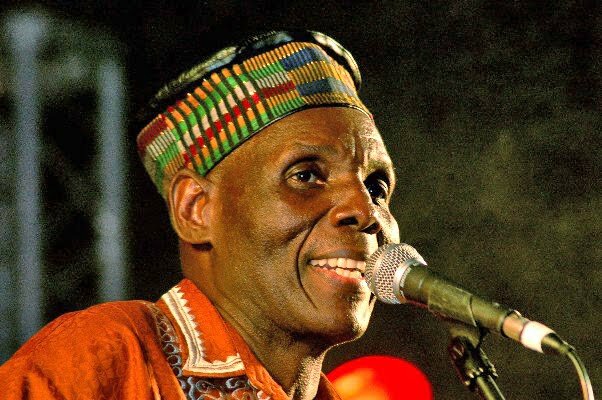 A leading Zimbabwean publication, the Newsday reported that Tuku , as he was affectionately known, died at the Avenues Clinic in Harare. Although his management could not be reached for comment yesterday, sources in Harare said the superstar had been battling with a heart condition for a few months. His daughter, Selmor could also not be reached as she is in the United Kingdom for her Winter Warmer UK tour. Born on 22 September 1952 in Highfield, Harare, sources said the ailment even forced Tuku to cancel some of his tours after his performance at the Lesotho Times Fanfest which was held at the Setsoto Stadium on 3 November 2018. The sources said Mtukudzi was on Tuesday evening rushed to the Avenues Clinic in the Zimbabwean capital after his situation deteriorated. His condition also prevented his manager Walter Wanyanya from attending a Coca Cola awards ceremony on Tuesday in Harare where the icon was honoured with a Lifetime Achievement Award. Mtukudzi had become a permanent feature at Lesotho’s premier music show, the Lesotho Tourism Festival (LETOFE) which is held annually in December in Thaba Bosiu. And as if to say his goodbyes to Lesotho, Mtukudzi had a show to remember in November at the invitation of the Lesotho Times which was commemorating its 10th anniversary. He performed alongside Lesotho’s own Afro-Jazz icon, Tshepo Tshola, commonly referred to as the Village Pope. Other artistes at the event included AKA, Kwesta, Nasty C, Trompies, Thebe, Prince Kaybee, Sho Madjozi, Lerato Kganyago, Amanda Black, Thami and Lady Zamar. The local contingent included Sway, Juvy, Mtsuzi, Counter Force, Charma Exzit, Kopper, Bootz, DJ Dimo, Together, Smooth and Katz, Fatere and the Super Twins. Before his performance in Lesotho last year, Mtukudzi said he was working on a project with The Village Pope. Although he could not be drawn into revealing details of the collaboration, Tuku said it was going to be a massive project. “Oh yes, we are working a massive project with Tshepo but I cannot reveal the details now,” Tuku said. And yesterday the Village Pope said he was gutted by Mtukudzi’s demise. “It’s terrible news man,” he said in a cracking voice. “It’s a shock. You can never expect death. Tuku was such a humble man so much that you would not realise he was such a massive star. He said he was in contact with another local star Bhudaza to plan arrange how they would travel to Zimbabwe for Mtukudzi’s funeral. “I was talking to Bhudaza just now to see how we are going to travel to Harare because we are not going to miss Tuku’s funeral. We also hope to contact other artistes in South Africa so that we could charter a plane,” Tshola said. Known for his humanitarian and social messages, Tuku enjoyed cordial relations with several artistes across the globe and has several collaborations with various artistes; both young and old. Incidentally, one of his closest friends was the late Hugh Masekela who ironically died on January 2018. Tuku died exactly a year after that. Fellow musicians and fans from across the world sent condolence messages to the Mtukudzi family on social media. With 66 albums, Tuku was also recognised by several pressure groups as well as the United Nations for his support for key populations like marginalised women and children which saw UNICEF appoint him their Goodwill Ambassador. He has also been honoured with an honorary PhD in Philosophy, Ethnomusicology and Chorography by the Great Zimbabwe University in 2014. Arguably, the biggest artiste to have emerged from the Southern African country, Zimbabwe, Tuku started singing in the 1970s where he rocked townships with his jiti music along with several other musicians of his pre-independence Zimbabwe. However, his career only blossomed making him an international performer of repute when he engaged former manager Debbie Metcalfe and eventually joined Sheer Music Records in South Africa. From then, Tuku had become a permanent feature at hundreds of festivals across the globe. Sarah Barnett, Metcalfe’s daughter, posted on her Facebook yesterday evening saying Tuku’s “beautiful music had been part of her upbringing. She said her mother and Tuku enjoyed a special relationship. “Tuku has been part of our family since I was six years old. I know how much I am hurting and how much my extraordinary mother is too but nothing compared to the excruciating pain his family are experiencing and the loss Zimbabwe is feeling now. I wish Tuku said ‘goodbye’ to a different country with new hope and promise, with people celebrating in the streets, because of the joy of being heard and cared for by their leaders. “…I wish Tuku had seen positive change. He helped so many people through the good and bad times for decades, he brought dance and crowd sing-a-longs and drew Zimbabweans together all over the world. As well as music lovers everywhere. “He gave hope and good memories to the sad diaspora of dispersed people striving to assist their families back home. He allowed me a unique and incredible childhood filled with our beautiful, honest and kind Zimbabweans,” Barnett said. She described Tuku as a gentle, hardworking man who was “quiet in speech but loud in voice”. “He is Zimbabwe’s legend and our hero. He is already missed but is so loved. He gave our family, his family and Zimbabwe so much joy and we are so proud of him… My deepest condolences and warmest hugs go out to Daisy, Samantha, Selma and all his special family and all the band members throughout his career that had the pleasure of sharing his stage. “And I truly hope Sam, his cherished son, has met him at the gates (of heaven) and they are hugging and looking back with pride,” she added.